Nurse Practitioners - Southern Bone & Joint Specialists, P.A. 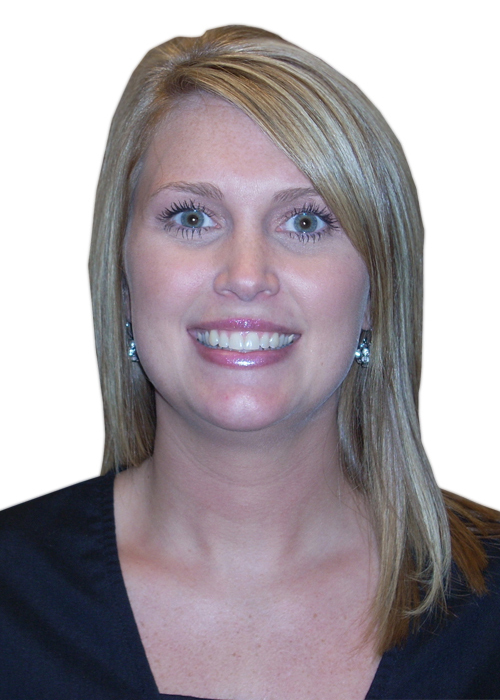 Jessica Bush, NP-C is a 2001 graduate of Jones County Junior College where she received her Associate Degree of Nursing. 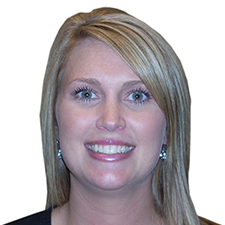 She then received her Bachelor of Science of Nursing in 2004 from the University of South Alabama. 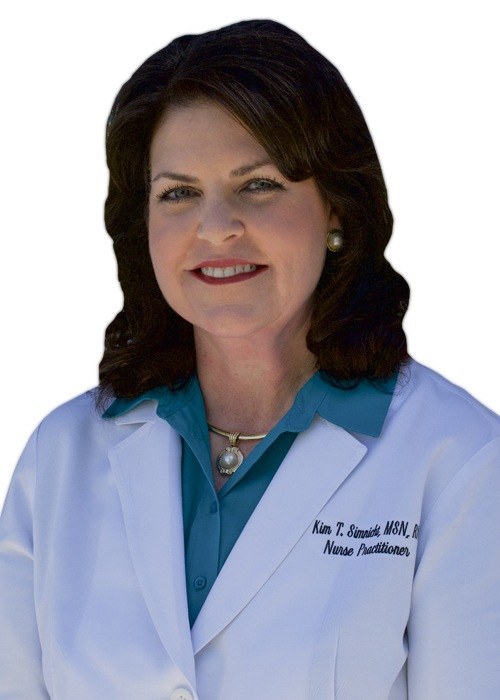 She went on to receive her Family Nurse Practitioner degree from South University in Savannah, GA.
Kimberly Till Simnicht, MSN, RN, CFNP, CGNP in 1990 completed the prerequisite courses for her Bachelor of Science in Nursing from University of Mississippi. 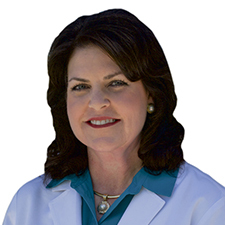 In 1992 she graduated from the University of Mississippi Medical Center School of Nursing with her Bachelor of Science in Nursing. 1995 Kimberly completed her Master’s in Science of Nursing degree form the University of Mississippi Medical Center School of Nursing. 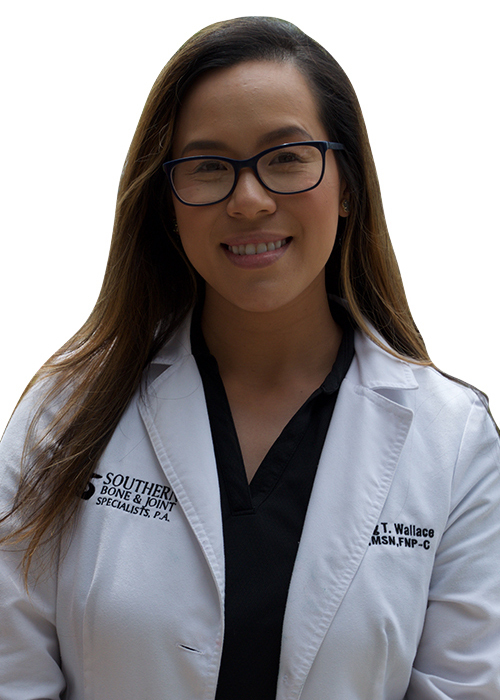 Huong Tran Wallace, RN, MSN, CNL, FNP-C in 2011 graduated with a Bachelor of Natural Science degree from Christian Brothers University in Memphis, TN. She completed her Master of Science in Nursing as the Clinical Nurse Leader in 2013 from the University of Tennessee Health Science Center in Memphis, TN. 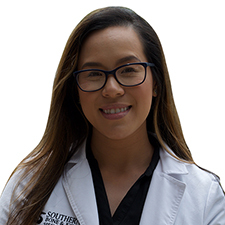 In 2015 Huong Tran completed her Master’s of Science in Nursing-Family Nurse Practitioner degree from the University of South Alabama in Mobile, AL. Our talented group of Southern Bone and Joint Nurse practioners are highly qualified and have extensive training and experience.